Opposition censure motion against Chamberlain’s conduct of the war; rejected by 281 to 200, but over 30 government MPs vote for it. German commandos in Dutch uniforms cross the Dutch border to hold bridges for the advancing German army. enigma machine and other vital secret material. The British put U-110 under tow, but the damaged U-boat later sinks. 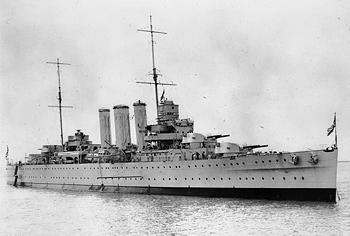 The German raider Penguin is sunk by HMS Cornwall off the Seychelles Islands in the Indian Ocean. The German 11th Army begins its summer offensive in order to clear the Eastern Crimea. The 11th Army has thirteen Infantry, one Panzer, and one Cavalry division. Luftwaffe support is provided by Fliegerkorps 8 and naval support comes from German E-boats and Italian midget submarines, which attack Russian supply ships reinforcing Sevastopol. The Germans hit Gen. D.T. Kozlov’s Crimean Front along Feodosiya Bay and crash through the 44th Army’s two divisions, relying on Junkers 87 Stukas to do the damage. The aircraft carriers HMS Eagle and USS Wasp fly off Spitfires from positions in the Western Mediterranean to reinforce the air defences of Malta. The Battle of the Coral Sea between the Japanese Navy and the U.S. Navy ends. At about 0800 hours both the Japanese and American carrier groups spot each other and send out attack aircraft. The Japanese succeed in torpedoing the Lexington, which severely damaged and later abandoned, while the Americans disable the Shokaku, which is withdrawn to Truk. Later in the day, the Japanese launch more attacks to destroy the remainder of Admiral Fletchers force, but this had withdrawn out of range. Japanese troops capture Myitkyina in northern Burma. Thousands of Korean-Americans petition to have their status converted from that of enemy aliens to friendly aliens. In December 1943, this is granted. British forces withdraw from Buthidaung, just inside Burma. Eisenhower decides that D-Day will be the 5th June. Rudolf HÃ¶ss returns to Auschwitz, ordered by Himmler to oversee the extermination of Hungarian Jews. VE-Day (Victory-in-Europe Day). Germany surrenders unconditionally, and the war in Europe ends. The Royal Observer Corps is also stood-down from its war footing and assumes its peacetime role. At this time there were 32,000 observers based at 1,420 posts around the UK. An RAF Catalina damages U-320 near Bergen off the coast of Norway. The boat is then scuttled by the crew, no hands lost, becoming the final German submarine lost as a result of combat action in World War 2. German unconditional surrender signed in Reims, France on 7th May takes effect fifty-nine minutes before midnight this date (VE Day–Victory in Europe Day). Allied merchant shipping sunk to U-boats, world-wide from January to the end of hostilities is 103 ships, equaling 403,760 gross tons. 120 U-boats were lost worldwide in the same period. For the entire war the allies lost 3,500 ships. equaling 17,467,818 gross tons, whilst the Germans lost 769 U-boats. In deference to the Russians, the surrender ceremony to the western allies at Rheims of the previous day is repeated before Marshall Zhukov and other Soviet generals at Karlshorst, a suburb of Berlin. After radio appeals early in the day for protection against heavy German shelling, the Prague resistance reaches an agreement with the Germans for the capitulation of the city, as the U.S. 4th Armoured Division from the West and Koniev’s troops from the East approach. The last convoys of German refugees from Eastern Germany arrive in western Baltic ports, ending the largest rescue operation by sea in history. Since the 25th January, a total of 420,000 civilians and wounded soldiers have been evacuated.